The winter season seems to be dragginnnng this year, doesn’t it? While we don’t have any meteorologists on staff, we are pretty certain that snow is behind us and we can look ahead to a weather warm-up and brighter (and longer) days! With the hopes of dusting off our winter cobwebs sooner than later, we can use this transition time to focus on the tasks we need to tackle once it becomes a little more comfortable outside. Break out the rake! Collect and dispose of any lingering fallen leaves so the lawn can start to dry out and breathe. 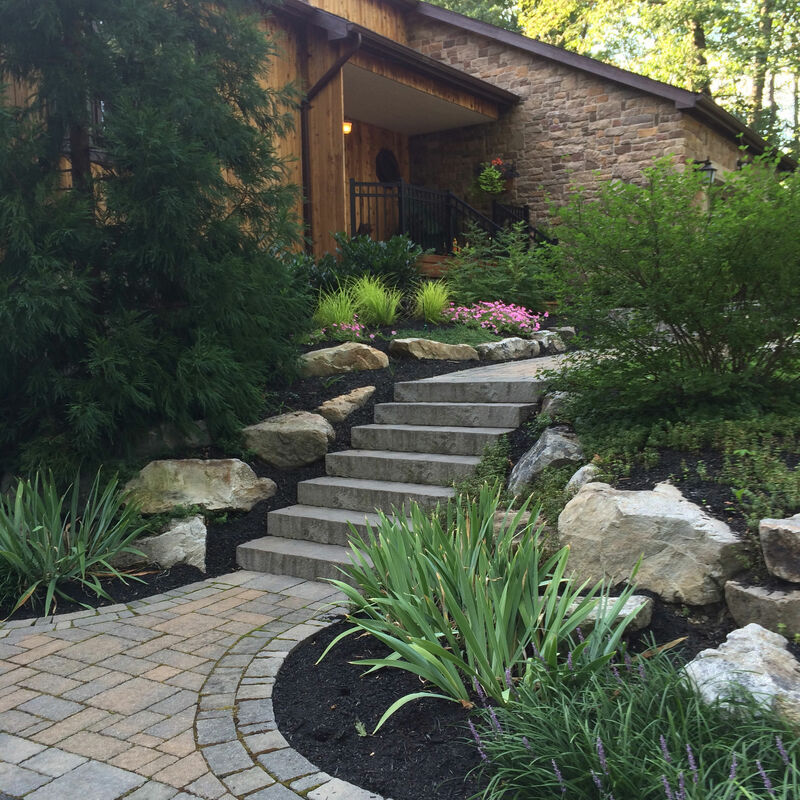 Bed edging should be done to all landscape beds to make them look crisp, clean and defined again. Once the threat of frost is gone (typically around mid-May for us in NEPA), you are safe to plant bulbs and annuals to bring the landscape back to life! Fertilizing all landscaping beds will give the existing and new plants the nutrients they need to start their warm-weather journey. Mulching every landscaping bed will not only bring the whole property back into a rich and cohesive beauty, but the mulch helps the plants retain water and stay cool in the hot weather. If your plants could talk, we bet they would say thank you. Trimming trees and groundcovers in the spring is less about new growth and more about aesthetic. Trimming and pruning rough branches will provide a much more natural shape, as opposed to an unkempt mess. Now is the time to also have your irrigation systems put back together and tested! Examining hoses and spigots, reinstalling controllers and timers and running field tests will ensure that your system is functioning properly and your plants will retain an even moisture keeping them healthy throughout the warm weather season! 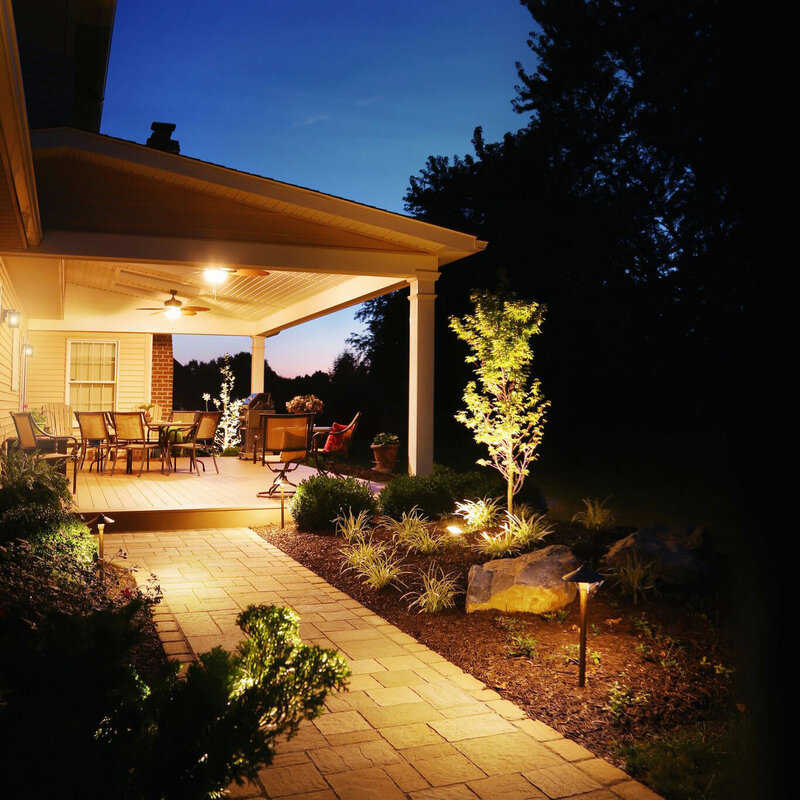 Don’t forget to inspect your landscape lighting! Your lighting fixtures will need to be checked for placement and the stability. You may need to adjust the direction of some fixtures if they have shifted from the weight of the winter snow. Also, make sure to walk through the property checking for any bulbs that may have burned out that will need replacing. The same can be said for hardscape lighting. 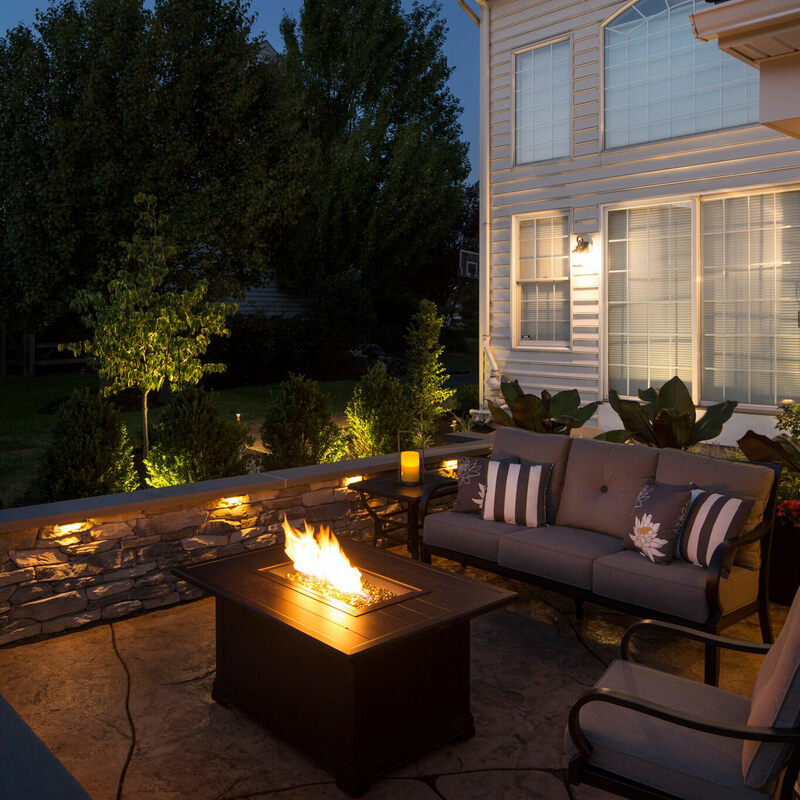 Have your landscape professional examine the lighting in your patios, decks and under cap lighting for burnouts or fixtures that need to be replaced. Wash your hardscapes. 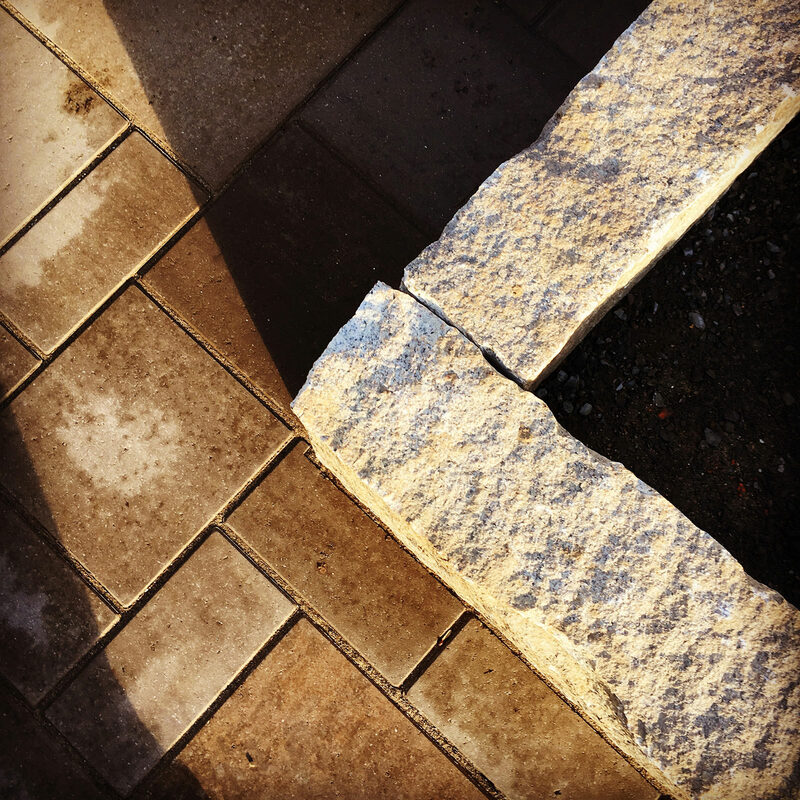 If you are not comfortable using a power washer (used at too high of a psi can cause damage to patios, walkways and decks), you can use soapy water and a push broom to clean off any residual winter grim. This is also a safe way to clean your decking as well. Uncover and wash your grills and patio furniture. Be sure to give your grill and furniture frames a good scrubbing. 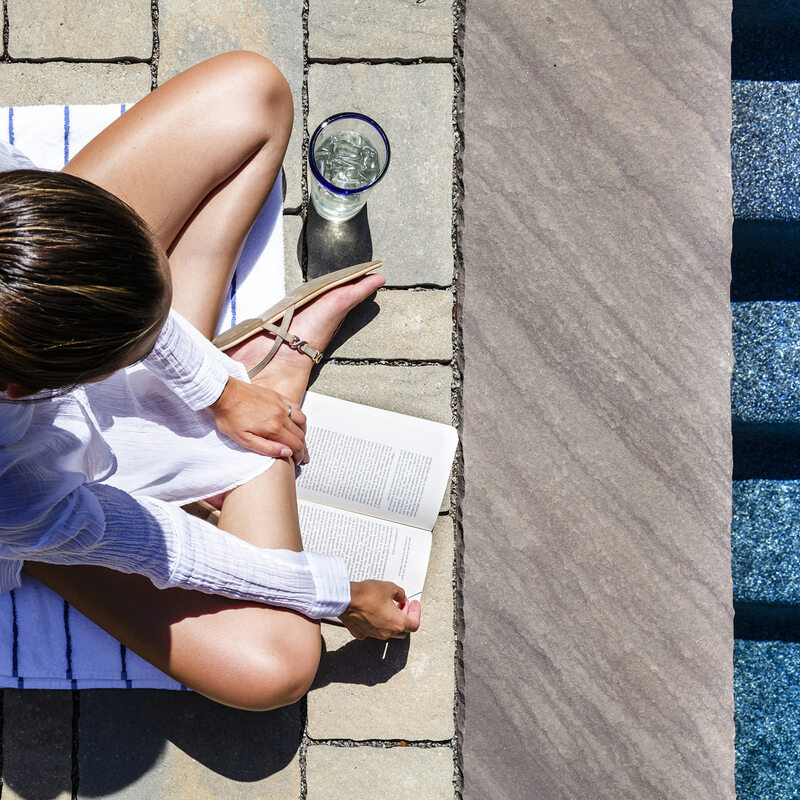 Wipe down the patio set cushions and let air dry flat a few days to dry and air out any winter mustiness. Bring back the accents. 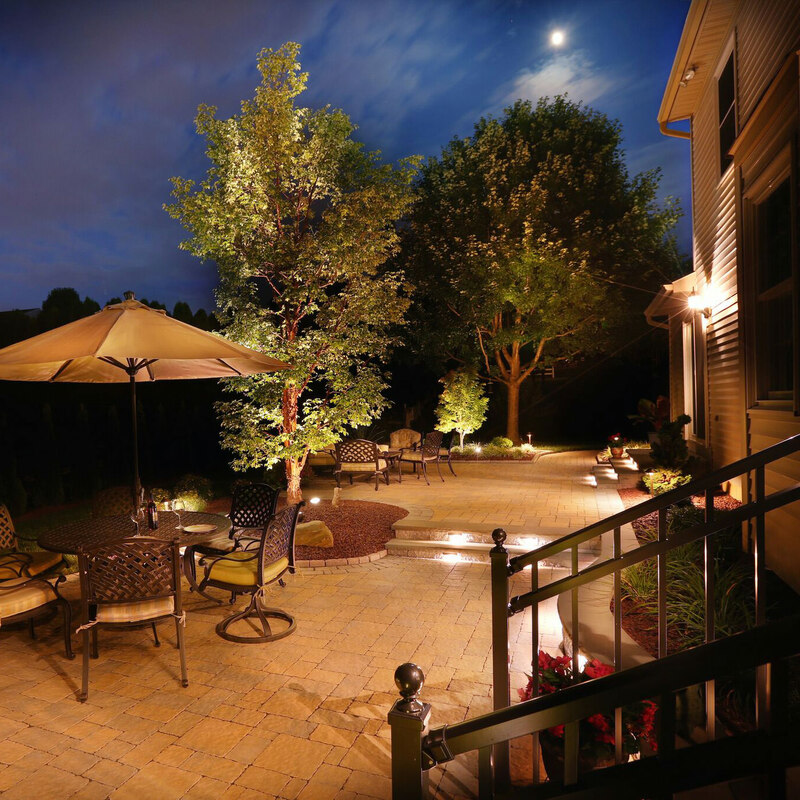 Reinstall string lights, outdoor rugs, torches, throw pillows and fun accoutrements to make your backyard feel like home again! While this seems like a lot of work, keep in mind that Rome was not built in a day! Take your time to manage your property cleanup, but once it is all done, you can sit back and bask in the glory of your hard work and admire the rejuvenation. 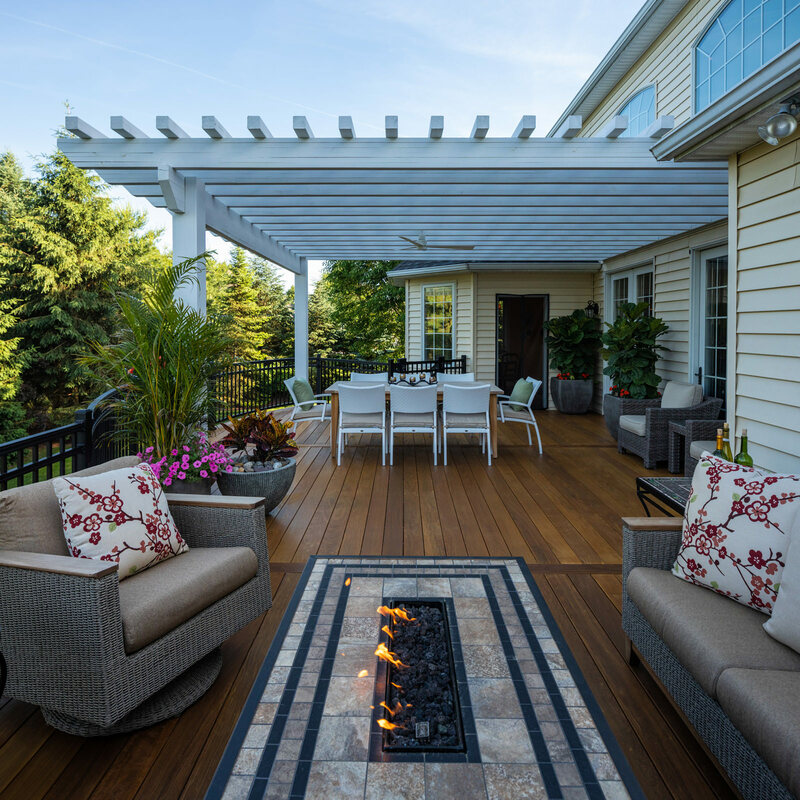 For homeowners living in the Poconos, Lehigh Valley through the Main Line of Philadelphia and western New Jersey who are searching for a landscape design-build firm to transform their outdoor dreams into a reality, reach out to MasterPLAN Outdoor Living! Specializing in custom-tailored 3D outdoor living design and installation, we would love to explore all possibilities for your property that provide beauty and function to fit your family and your lifestyle. While MasterPLAN is fully committed to creating amazing outdoor living spaces, we are also fully committed to sustaining them! 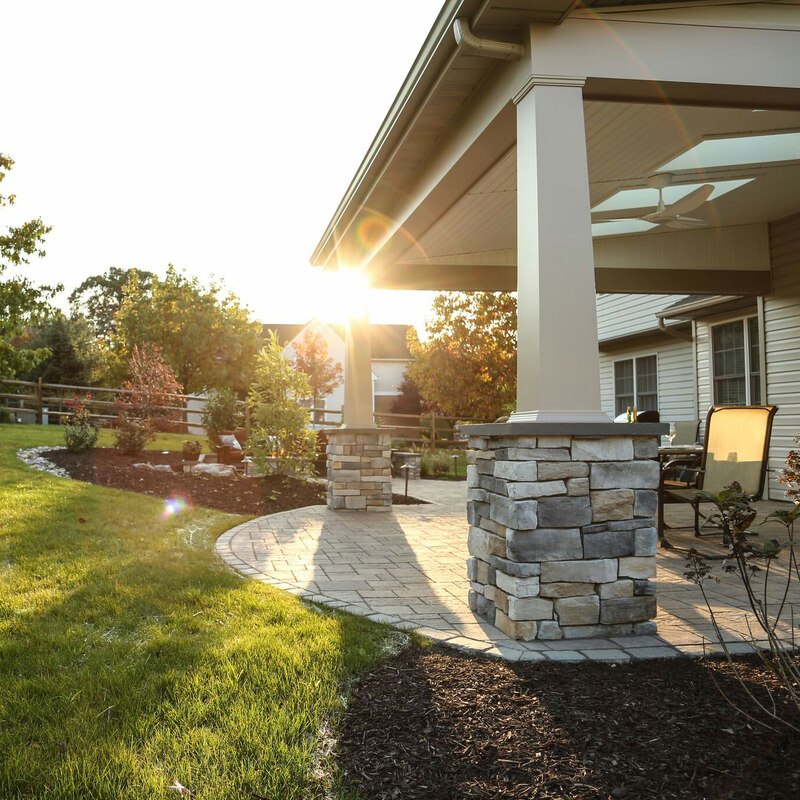 Who better to maintain your outdoor living space than the company who created it, right? 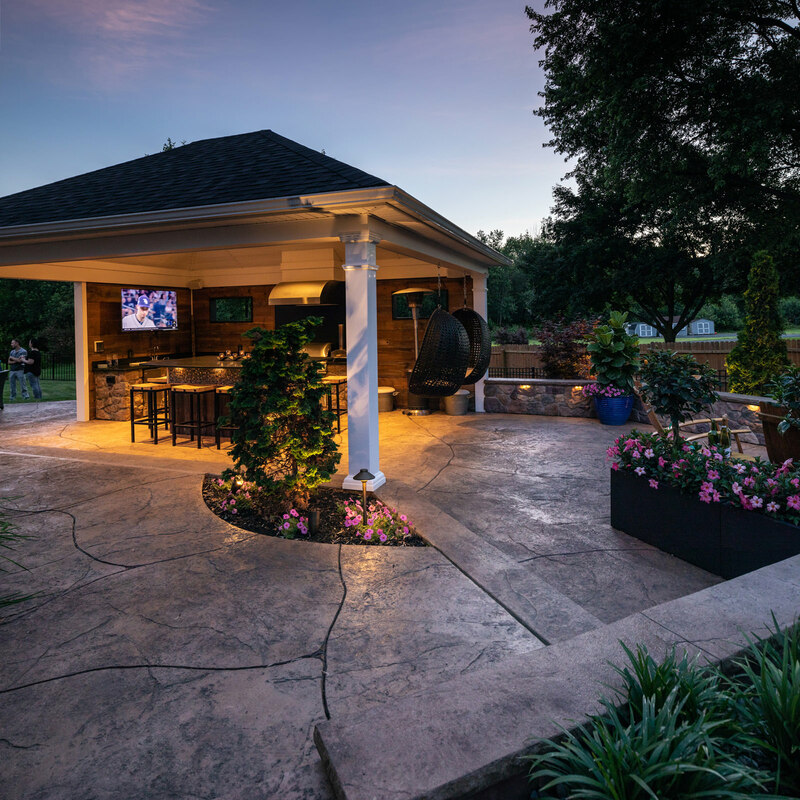 Every home that has a MasterPLAN outdoor living space has the opportunity to enroll in our Property Wellness Program, providing extraordinary spring and fall maintenance to keep everything looking beautiful and functioning at 100%! You can feel confident that when you partner with MasterPLAN, you have a friend for life!